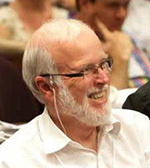 Professor Paul Martin is the Director of the Australian Centre for Agriculture and Law in the School of Law. His interests include rural landscape governance, and the effectiveness, efficiency and fairness of legal arrangements. He is a member of the Governing Board of the IUCN Academy of Environmental Law.